Science Nation: Socially assistive robots for children on the autism spectrum, Miles O'Brien and Kate Tobin, National Science Foundation, October 29, 2018. Scared by artificial intelligence? Fear not, tech-savvy USC grad says, Eric Lindberg, USC News, July 10, 2018. For the Elderly Who Are Lonely, Robots Offer Companionship, Imani Moise, The Wall Street Journal, May 28, 2018. Killer Robots, Begone! This Doctor's Androids Come in Peace, S.C. Stuart, PC Mag, April 5, 2018. Socially Assistive Robots, with Maja Matarić, Audrow Nash, Robohub, March 19, 2018. Maja Matarić on Robots That Care, New York Times, February 20, 2018. People of ACM - Maja Matarić, ACM, November 28, 2017. Robot companions are just what the doctor ordered, Abrar Al-Heeti, CNET, November 20, 2017. Dr. Maja Mataric - Robots that Care, Town Hall - Los Angeles, KCET, 2017. AI Matters Interview: Getting to Know Maja Mataric, AI Matters, ACM SIGAI, August 29, 2017. Socially Assistive Robots Help Patients Make Behavioral Changes, Jennifer Abbasi, JAMA Medical News, June 7, 2017. Grandma's Little Robot, Catherine Caruso, Scientific American, May 22, 2017. Socially Assistive Robots Could Make You Healthier, Not Jobless, Glenn McDonald, Seeker.com, March 15, 2017. A future with robots as companions could be closer than you think, Ian Chaffee, USCNews, March 10, 2017. Robot Researchers Not Trying to Replicate People, (video), Don Clark, The Wall Street Journal, October 26, 2016. Why robots must explain, listen, and ask for help, Hope Reese, TechRepublic, May 24, 2016. How robot therapists can fill a gap in health care, Harriet Taylor, Jeniece Pettitt, CNBC, July 21, 2016. Hello, My Name is Ivey, Marc Ballon, USC Viterbi Magazine, May 2016. 30 Most Innovative Women Professors Alive Today, Best Masters Degrees, Jan 2016. 7 Reasons Young Women Shouldn't Be Deterred From Science and Engineering Careers, Yannis C. Yortsos, HuffPost Education, Oct 12, 2015. 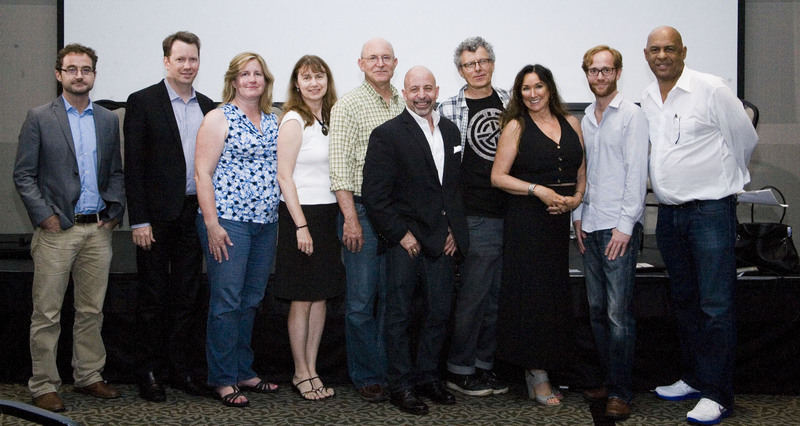 10 up-and-coming L.A. innovators to watch out for, Technology Team, Los Angeles Times, August 2, 2015. 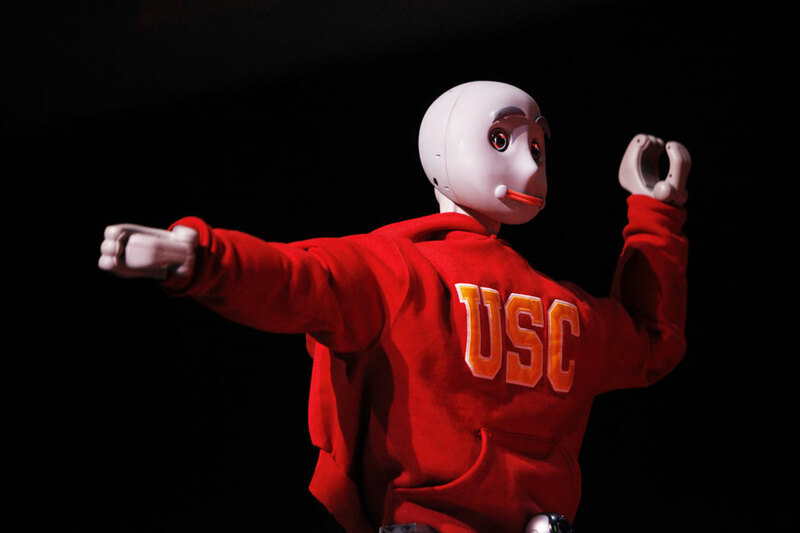 Meet Your Tech Future, Marc Ballon, uscTrojan (Winter 2014), December, 2014. Meet Baxter, your new robotic co-worker, Noelle Swan,The Christian Science Monitor, September 27, 2014. 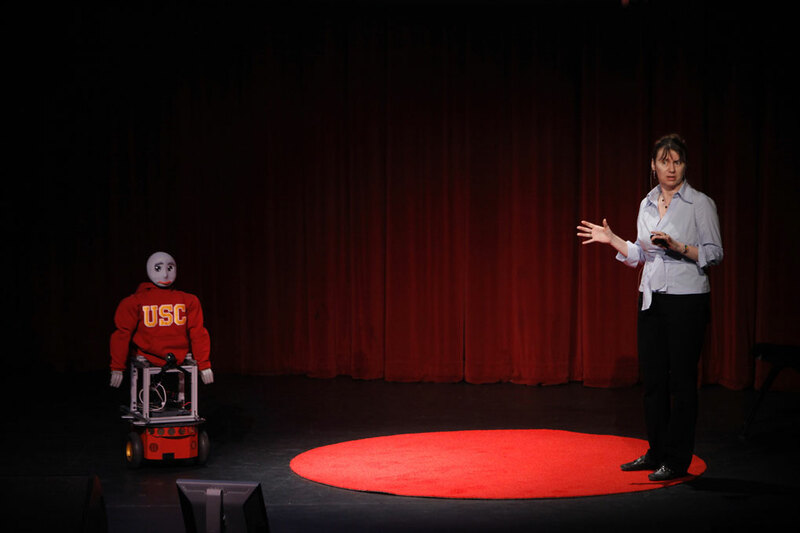 Robots Encourage Children with ASD to Learn, Regina Wu, USC Viterbi, September 3, 2014. Pilot study of socially-assistive robots that help children with autism to learn imitative behavior, Medical News Today, September 2, 2014. Robots May Help Autistic Kids Learn Life Skills, Rick Nauert, PhD, PsychCentral.com, September 1, 2014. Autism Research: August 29, 2014 Week in Review, Dr. Rachita Narsaria, MD, Autism Daily Newscast, August 31, 2014. Children with autism learn imitative behavior from socially asssistive robot, KurzweilAI.net, August 29, 2014. Socially-assistive robots help kids with autism learn by providing personalized prompts, Science Daily, August 28, 2014. Can a robot be too nice?, Leon Neyfakh, The Boston Globe, August 15, 2014. Meet Paro, a robot designed to help the elderly, Brandon Bailey, San Jose Mercury News, August 4, 2014. Robots Are Everywhere! 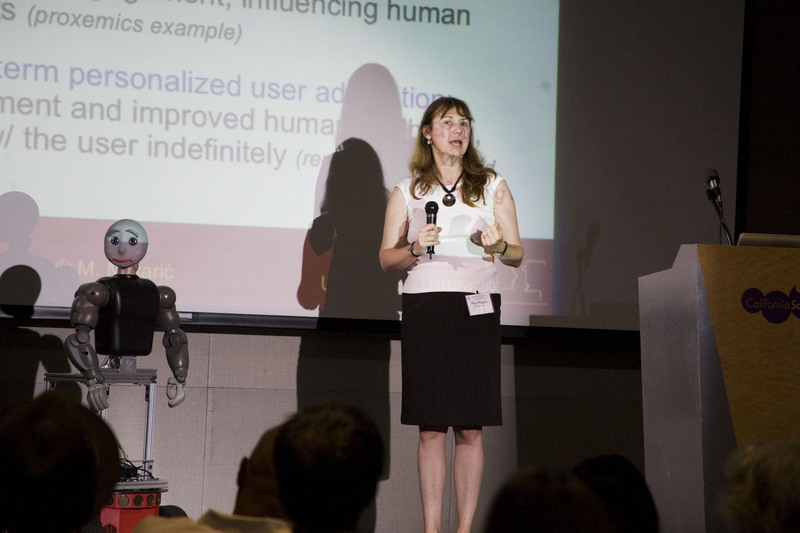 Learning About Technology From Robotics, Julie Dobrow, The Huffington Post, July 9th, 2014. 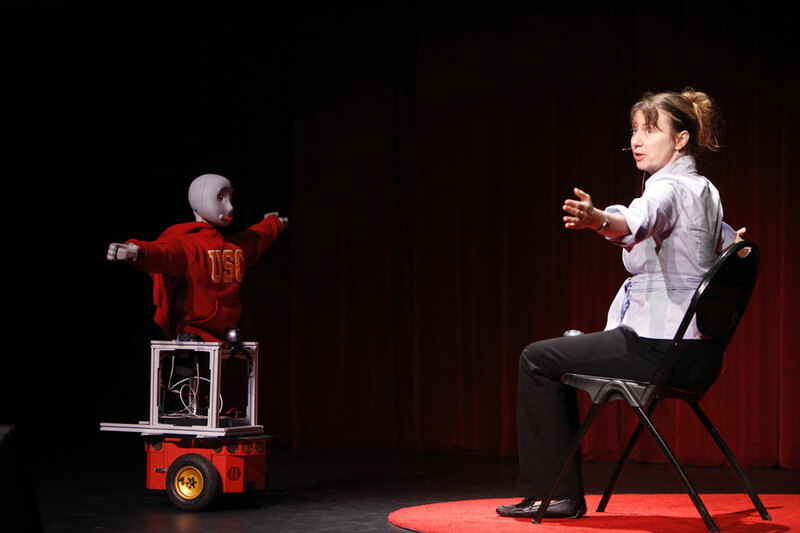 Happy National Robotics Week: Check out some of USC's best robots, Signe Brewster, GIGAOM, April 11, 2014. She Robots (And So Can You!) featuring Jill Greczek, The Anglerfish, February 2013. "Robots Used to Help Children with Autism", Mikaela Conley, ABC News, October 20, 2011. "Robots built to help autistic children", Chris Woolston, Los Angeles Times, October 17, 2011. "Grandma's new friend is wired", Karen Ravn, Los Angeles Times, October 17, 2011. "The nuts and bolts of new robots", Karen Ravn, Los Angeles Times, October 17, 2011. "What's in a Face? ", Cynthia Graber, Ask Magazine, September/October issue 2011. Robotics Rocks!, April Garbuz, TalkingScience.org, August 19, 2011. Socially Assistive Robots Take Over Los Angeles, Jessica Charlesworth, Core77 Magazine, September 28th, 2010. Aging House of Tomorrow Also Includes a Friendly Robot, Dakota, Curbed LA, September 24th, 2010. Students, Meet Your New Teacher, Mr. 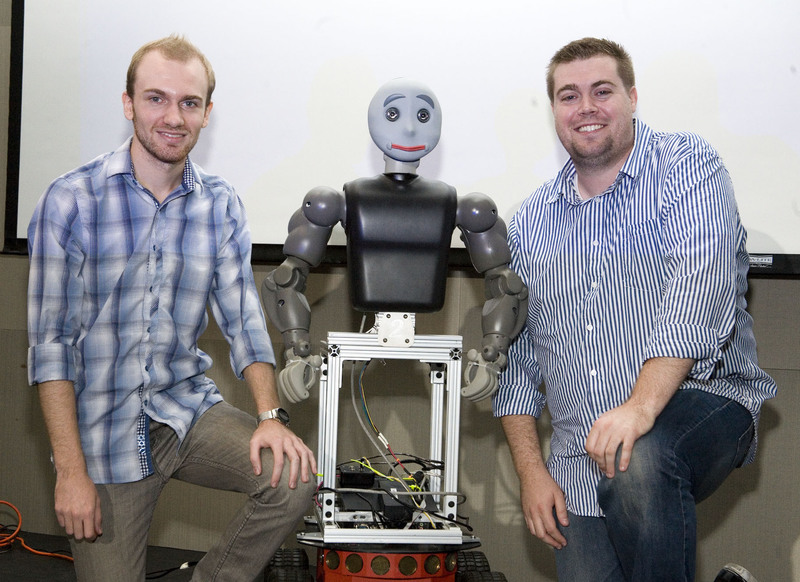 Robot, Benedict Carey and John Markoff, New York Times, July 10, 2010. Maja Mataric: Who's Your Robot?, Adam Gropman, LA Weekly, May 2010. The New Face of Autism Therapy, Gregory Mone, Popular Science, May 2010. Robots to Fight Autism:, Val Wang, Popular Science, April 2010. Battle bots, Owen Zheng, Daily Trojan, April 2010. "Bandit, Little Dog, and More: University of Southern California Shows Off Its Robots", Daniel Garcia, IEEE Spectrum, April 2010. 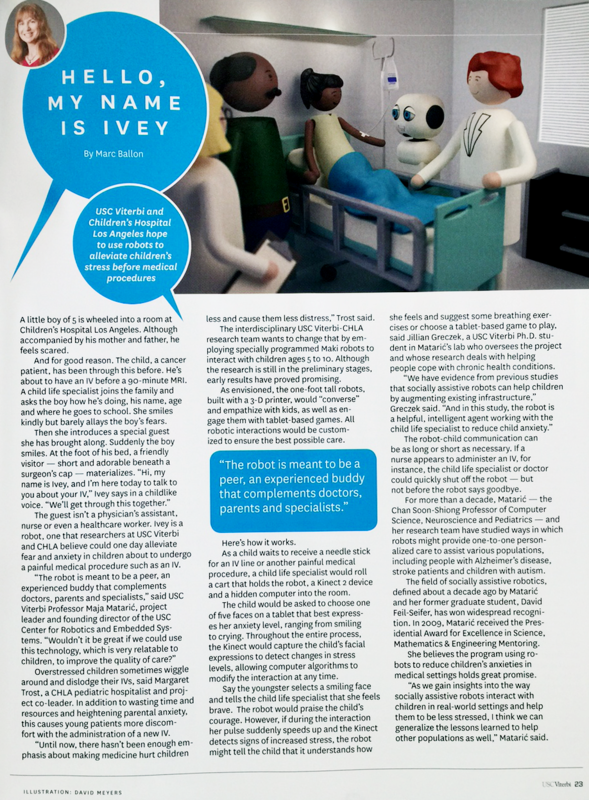 "Caregiver Robot: A scientist creates robots that help children", Susan Karlin, IEEE Spectrum, February, 2010. Maja was selected as an LA Visionary, Los Angeles Times Magazine, January 3, 2010. "Viterbi School Research Dean to Study Ways to use Robots to Encourage People to be Active", USC Viterbi School of Engineering News, Nov. 18, 2009. "Once More, With Robotic Feeling", Jessica Erberich, USC News, October 23, 2009. "Doctoral Candidates Win NSF Honors - and Stipends", Claudia Melendez, USC Viterbi School of Engineering News, May 7, 2009. "The Sociable Robot". Proto Magazine, Winter 2009. "ASD Playmates, Robots may offer 'a window in the attention' of autistic children". "Robot Playmates Help Autistic Kids With Social Skills". The Washington Post, Aug. 7th, 2008. "Robot playmates may help children with autism". 7th Space Interacitve, July, 22, 2008. 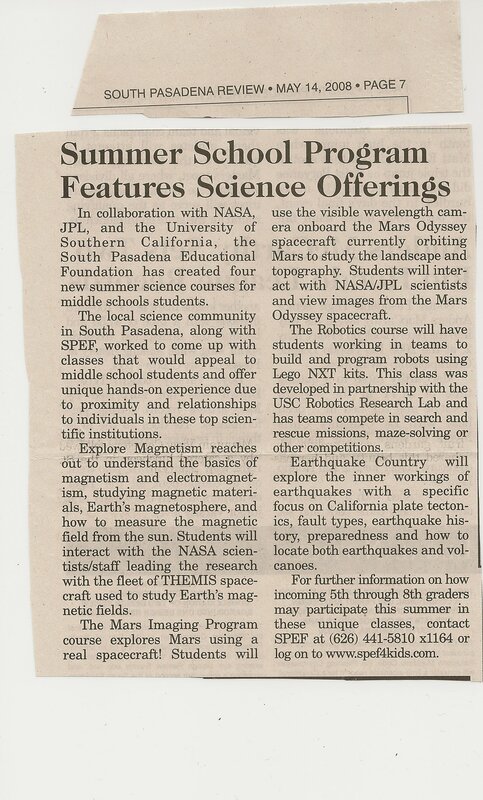 "Summer School Program Features Science Offerings", page 7, South Pasadena Review, May 14, 2008. "New center aims to advance research", Elly Wong, USC Daily Trojan, Volume 160, No. 9, January 23, 2007. "Robots Aid Stroke Victims, Autistic Kids", Seth Borenstein, Salon.com, November 22, 2006. "Es ist zu deinem Besten! ", Ole Neugebauer, Financial Times Deutschland, August 4, 2006. "A good robot has personality but not looks", Celeste Biever, New Scientist, Magazine issue 2561, July 20, 2006. "Maja Mataric's Kinder, Gentler Robots", Katie Sweeney, Trojan Family, June 20, 2006. "The Art of Building a Robot to Love", Henry Fountain, The New York Times, March. 05, 2006. "JPL and USC Forge Four-Year Partnership", Allison Engel, USC Chronicle, Feb. 13, 2006. "Found in Translation", Danna Voth, IEEE Intelligent Systems 20(6):6-8 31, Nov./Dec. 2005. "Using Robotics to Make Learning Fun", a USC Chronicle article by Lauren Walser, Oct. 31, 2005. In "Happy Birthday", a USC Chronicle feature about the USC Festival 125, Oct 17, 2005. In "FutureTech, a feature by Diane Ainsworth and Eric Mankin, in the USC Viterbi School of Engineering Engineer Special Issue on the 100th Anniversary , Fall/Winter 2005. "Heads Together", a USC News article, by Gia Scafidi, Aug 6, 2003. "Robot science puts on a friendly face", a USA Today article, by Edward C. Baig, May 1, 2003. "Robotica", a Trojan Family Magazine article, by Mark Ewing, Eric Mankin and Bob Calverley, Summer 2003. "Robot science puts on a friendly face", a USA Today article, by Edward C. Baig, April 30, 2003. "Robots are ready to rumble", a USC Chronicle article by Gia Scafidi, Mar 31, 2003. Maja is featured on the NEC My Point of View pages, March 2003. Monica Nicolescu and Maja Mataric' are featured in the New York Times article titled "Making Robots More Like Us" on March 6, 2003. "Robots, Robots, Everywhere", story in the USC Chronicle, Nov. 11, 2002. The work of Profs. A. Requicha, D. Caron, D. Estrin, M. Mataric, and G. Sukhtame on the NSF ITR grant for miniature robot use in ocean pollution monitoring was featured in several articles, including in the Associated Press (article by Leon Drouin Keith, Jan 11, 2002), in Wired, on slashdot, unisci, and the USC News Service. 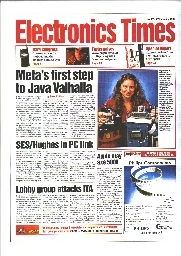 The April 23, 2001 U.S.News and World Report featured a cover article by Thomas Hayden on "The Age of Robots" with a section in which Maja was quoted about our Interaction Lab's approach to primitives-based motor control and imitation for humanoids. E-zine feature by Cindy Simonetti, on the Web from Sep 2001. Jim Krane of the Associated Press interviewed Maja for an article about humanoid robots, Robot Technology Marches Forward, which appeared Thursday June 21 1:26 PM ET, 2001. New Scientist magazine ran an article by Mark Ward about Adonis dancing the Macarena titled The Dancing Droid, July 18, 1998. In fact, only being away (Jul 27-30 & Aug 2-16) due to a conference and a vacation has prevented inteviews with BBC London, Spiegel, and various others. Adonis is quite popular! "'Slick Willie' serves public: Robotics convention stresses practicality," by Joann Loviglo, The Washington Times, Washington, DC, Saturday August 2, 1997. The excerpt from this article describes our team's winning performance in the "Hors d'Oeuvres Anyone?" event of the AAAI'97 Robot Competition. Mademoiselle Magazine, an article on altruism and social behavior by Tonice Sgrignoli, around Oct 1997. 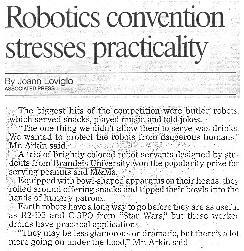 "Robots geared toward everyday tasks: Pathfinder rover move over: these robots serve snacks," Sunday Westerly Sun, Westerly, RI, August 3, 1997. 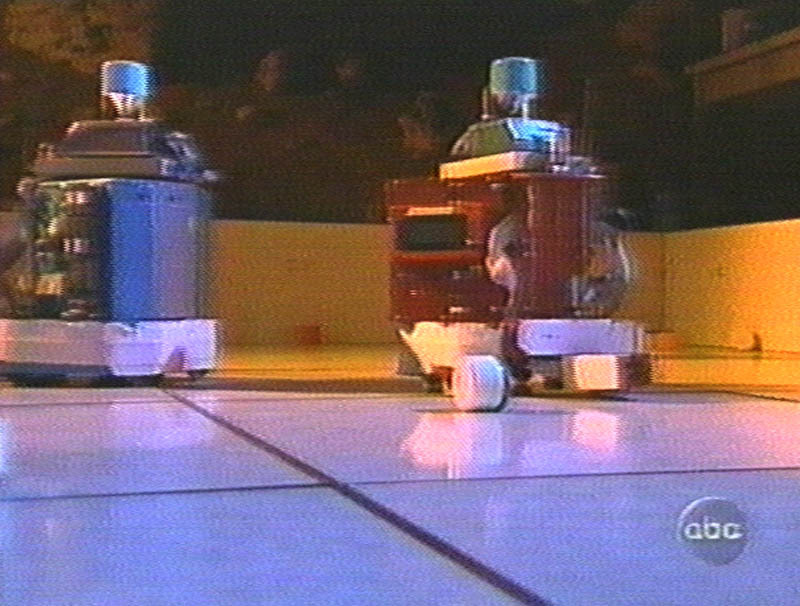 "Roll over Pathfinder rover, these robots vacuum and fetch," Naugatuck Daily News, Naugatuck, CT, Friday August 1, 1997. "Imagine This! From local labs and universities come 10 ideas that will change our lives", Cover Story by Courtney Claire Brigham, The Boston TAB, page 10, June 3-9, 1997. "Robot-flokken" by Michael Crafton and Nils P. Thuesen, in ??. "Los robots que trabajan en equipo" in Muy Interesante (A Spanish journal akin to the US Discover Magazine), Spain, May 1997. The Nerd Herd is dubbed "Ciberrebano" i.e., "cyber-herd". 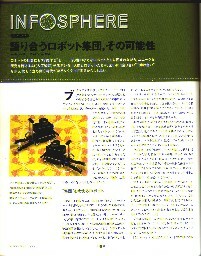 Wired, Japanese version, article by Jerry Shine translated by Sonoko Enami, May 1997. Danish newspaper, "Robotter: Norderne kan arbejde sammen" by Michael Grafton, March 17, 1997. ROBOTIX-97, Glasgow, UK, March 10-14, 1997. "Ant approach aids Nerd Herd" by David Larner, Electronics Times, No. 846, page 12, March 6, 1997. Electronics Times, No. 845, February 27, 1997. Beyond 2000, Pat McGuinness, November 12, 1996. Computer Zeitung, Germany, by Ruth Henke and Rainer Scharf, November 7, 1996. Focus Magazine, UK, "Invasion of the Robots" by Sean Blair, October 1996. Wired, June 1996. A four-page article on "Herd Mentality" and group behavior. See also a shorter web version of the article. Popular Science magazine, May 1996. Go team Go! MIT Technology Review article in the April issue, by Robert J. Crawford, assistant director of the Office for Sponsored Research at Harvard University, April 1996. Utne Reader, January - February 1996, No. 73. Wired 3.12, December 1995. Wide-angle lenses take bad people-photos. Still, we are always "Fast, cheap and very polite." Facts, Vol. 41, No. 4, October 1995. These robot people can get a bit strange. EE Times, October 23, 1995. Barry's escapades in Switzerland or how to get promoted to a professor while still a grad student. Boston Globe, Friday, October 20, 1995. "School for Robots" or "Robots on Their Own" by Peter J. Howe, in the Metro/Region section. Sam Globe report, page 2. A view of Barry from an R1's perspective. San Jose Mercury News, Tuesday, October 10, 1995. "The Nerd Herd" in the Science and Technology section. Discover Magazine, Vol. 16, No. 9, September 1995. "The Sharebots" by Carl Zimmer. How it all started. RealTalk MS Episode 16: Robots & Rehabilitation With Dr. Maja Mataric, Jon Strum, RealTalk MS, January 23, 2018. Robots to Make Our Lives Easier, Rich DeMuro, The Tech Report on KTLA, May 15, 2013. 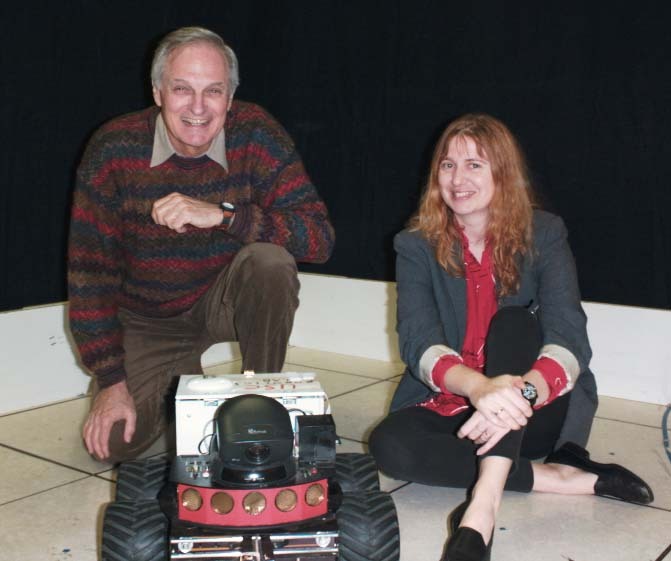 "Robot experiment coming to Los Angeles classrooms", NPR AirTalk with Larry Mantle, April 12, 2013. PBS News Hour with Ray Suarez "Talking Robots Play Part in Therapeutic Treatment for People With Special Needs", featuring Juan Fasola, PBS, January 9, 2013. Video Download. Robotics Open House 2013, KTLA, 2013. Video Download. AirTalk: "Could 'Roboys' be our future caregivers? ", AirTalk, December 28, 2012. Prophets of Science Fiction Season 1, Ep. 5 "Isaac Asimov", Discovery, February 15, 2012. Ready for the robot revolution?, Jon Stewart, BBC News, October 2, 2011. Robots going social featuring Ross Mead, Jon Stewart, BBC News, September 30, 2011. Training by a robot gym instructor featuring Juan Fasola, Jon Stewart, BBC News, September 30, 2011. 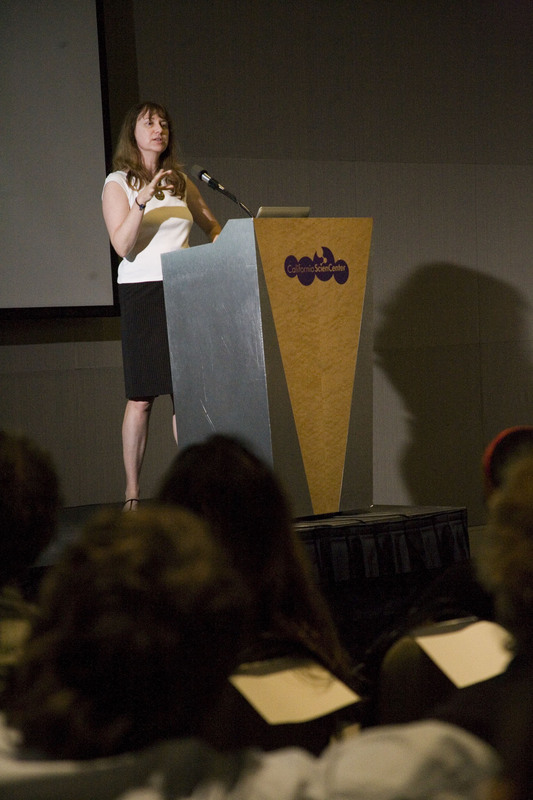 Thought Leaders in Autism, ADHD and LD - Dr. Maja J. Mataric, January 22, 2011. Maja's career was profiled by IEEE for IEEE.tv and TryEngineering.org. IEEE.tv, Dec 10, 2010. Video Download. Bandit was mentioned on the Tonight Show with Jay Leno! NBC, Nov 11, 2010. Video Download. Maja was interviewed by Rob Marciano for a TV piece on Bandit. CNN, Nov 10, 2010. Video Download. "Robot Caregivers Could Give More Independence to the Elderly". Interview with study participant and Juan Fasola by Sanden Totten. KPCC Radio, October 7th, 2010. MP3 Audio Link. "Digital Planet". Interview of Maja Mataric by Jon Stewart. BBC Radio, June 4th, 2010. Maja was interviewed by Ellen Shehandeh for KWMR, Community Radio for West Marin in the San Francisco Bay area, Dec 17, 2009. "Autism: Breaking Barriers". NBC Today Show, April 15th, 2009. "Robot Playmates". Interview of Maja Mataric by Ronnie Josef from KCSN News about the Interaction Lab work on the robotics for autism intervention. "Learning Robotics". CNN Headline News, Aug 25th, 2008. "Kinder, Gentler Robots", Paul Peterson and Maja Mataric, Aging in LA. TV'S CYBERGUY VISITS THE VITERBI ROBOTICS RESEARCH LAB Computer scientist and senior associate dean Maja Mataric's work on robots of all kinds was the subject of an extended segment on KTLA-TV. Maja is featured on the June 11th 2005,CBC's "Quirks & Quarks" radio show with host Bob McDonald. Maja is featured as one of the 7 scientists (including Nobel Laureate Gertrude Elion, Ashok Gadgil, Michio Kaku, Steven Pinker, Karol Sikora, and Patricia Wright) in the Emmy Award-nominated documentary feature film "Me & Isaac Newton", directed by Michael Apted, produced by Clear Blue Sky Productions, and distributed by First Look Pictures. The movie includes footage of our Interaction Lab students and robots, and has received various awards. Articles about the movie include those in The New Yorker, Forbes, Science Magazine, USC Chronicle, The USC Daily Trojan, etc. KCET-TV Public Television ''The Life & Times Tonight'' interview for the segment on ''Artificial Intelligence'', aired Jun 27, 2001. ABC Evening News interview by Miriam Hernandez, aired Jun 27, 2001. Maja was interviewed by UPN Channel 13 News about humanoid robotics and its potential and impact on the future. The spot aired on the 10pm News on June 20, 2001. Maja's LEGO-kit-based CS 445 Introduction to Robotics course was featured on Fox News (Channel 11) and some others on December 15, 2000, when teams competed in an adapted soccer tournament as part of the course final. More info here. Our following and foraging robots were featured in the November 2nd, 1999 Scientific American Frontiers hosted by Alan Alda, titled "Natural Born Robots". A transcript of the program is found here. For more information about the program, look here. As a result, Maja answered questions about robotics on Ask the Scientists and promoted the lab on Cool Careers, with hopes of recruiting the world to the Interaction Lab. 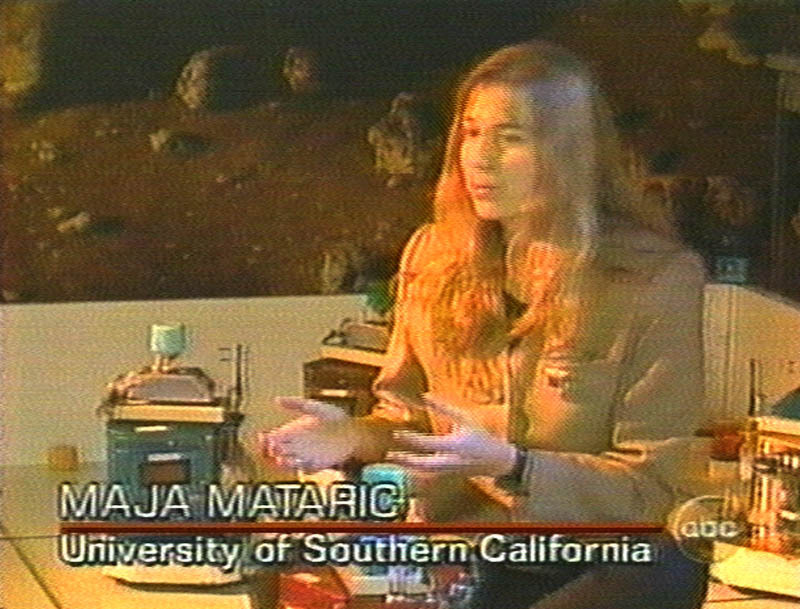 Maja's LEGO-kit-based CS 445 Introduction to Robotics course was featured on KTLA-5 TV, TRRV-TV, and KNX-AM radio on December 16, 1999, when teams competed in a puck-collecting task as a part of the course final. More info here. On Nov 1st, 1999, Jonathon Sterns from the Quickband Networks visited the Robotics Lab to film Laika walking around (thanks to Aude) and talk with Maja about robot pets and the future of robotics. Along with many interviews, this will be included in their upcoming DVD video called "Short", to come out in Feb 2000. On April 28, 1999, Harry Chittick from ABC News visited the Interaction Lab to film our adaptive foraging robots for a Technology segment done by Jack Smith. The segment aired on ABC World News Tonight with Peter Jennings on Wednesday, May 5th, 1999. A video of the segment can be found on the ABC News Web page along with the article Thinking Machines Emerging. Alan Alda, the host of Scientific American Frontiers, visited our lab on March 8, 1999, and interacted with our robots as they performed various examples of biomimetic behavior, including flocking, foraging, playing soccer, cocktail party socializing, and dancing the Macarena. On Oct 2, 1998, Rachel Tejada from TriMuse productions did an interview for a RoboCup documentary called "Charging New Minds." On July 23rd, 1998, Maja was interviewed by Damian Rabbitt from ABC radio in Perth, Australia, about Adonis dancing the Macarena. Edwin Cartlidge from the BBC World Service in London interviewed Maja about Adonis dancing the Macarena. July 21, 1998. Discovery Channel series on AI, interview with Cliff Lonsdale and Jane Hawkes, September 16, 1996. New Zealand Public Radio, interview on March 30, 1996. CNN Morning Edition, September 26, 1995. Brian Jenkins visits the Interaction Lab. Bandit, Ross Mead, Maja, and Edward Kaszubski attended the DGA Directors' Retreat at the California Science Center on September 15 2012. Bandit, Ross Mead, and Maja attended the World Science Festival in New York in June of 2012. 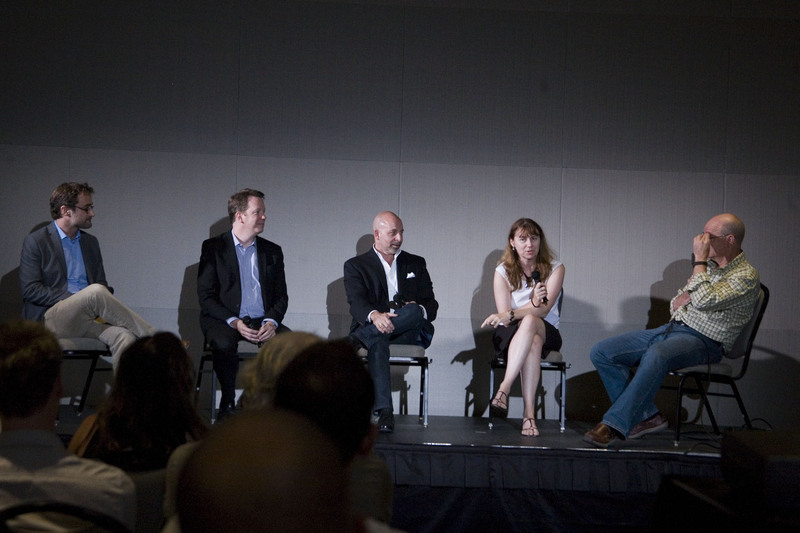 Bandit and Maja were featured at the screening of the film Robot & Frank, as part of the panel on The Future of Computerized Companions. Bandit and Maja were also quite an entertaining duo at the Spotlight: Innovation from Unexpected Places event (top left image). Shown below are Bandit and Ross at Innovation Square, a large all-day public event in downtown Brooklyn. 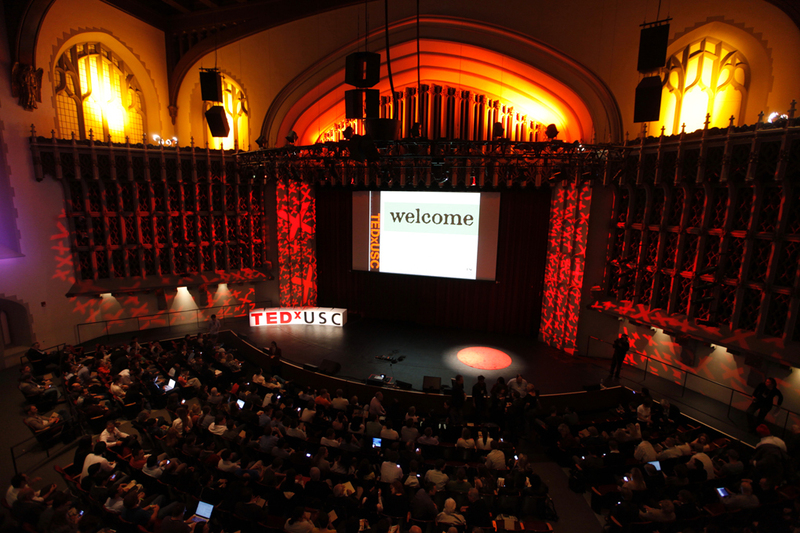 Bandit and Maja were invited presenters at the 2010 TEDex at USC held in April (images below).